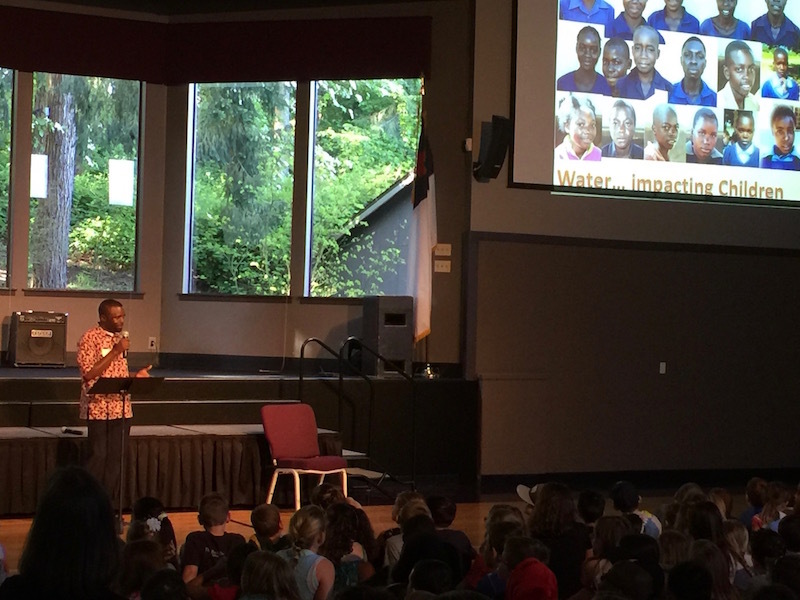 Sparked by their reading of Long Walk to Water for the Oregon Battle of the Books, this year students at Horizon Christian School in Tualatin have been learning about the need for access to safe water in rural Africa. 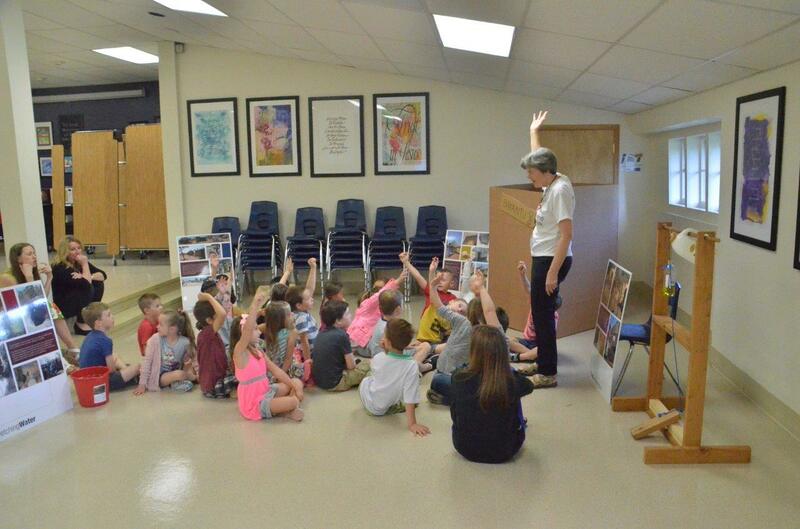 WaterAfrica Board Member and Horizon teacher Margaret Hanscom was featured in the Lake Oswego Review last month for her work to organize a variety of opportunities for students to explore and expand their understandings. The study culminated this week in several high-interest interactive experiences. On Tuesday students engaged in small group presentations to learn about the elements of sanitation and hygiene which World Vision uses in its Water Program to ensure that clean water stays clean. 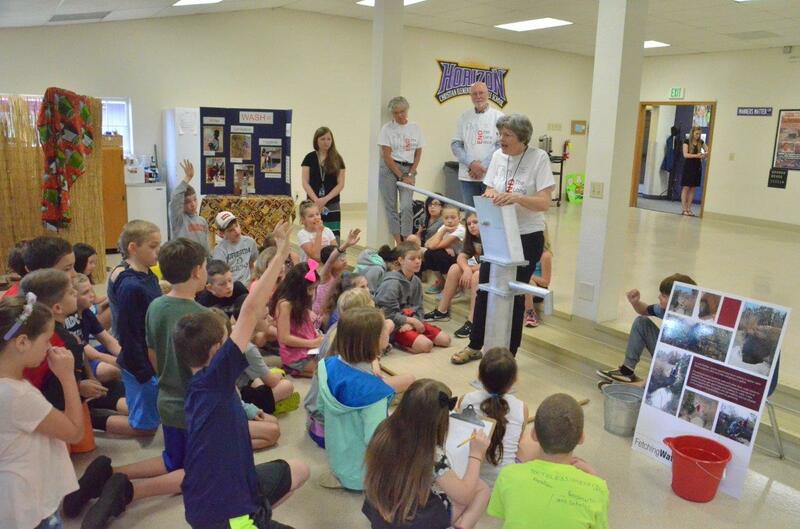 Diane Savage presenting elements of World Vision’s Water, Sanitation & Hygiene Program to students at Horizon Christian School. On Wednesday morning Chikondi Phiri, World Vision Zambia’s Deputy National Director spoke to the students at a school wide assembly, telling them stories about individual students whose lives have been transformed by access to clean water alongside good sanitation and hygiene. Chikondi Phiri speaking to students at Horizon Christian School on Wednesday. …. Do you have warm water for your showers? How long does take to make a well? Do you hurt your feet when you walk to the water pits? 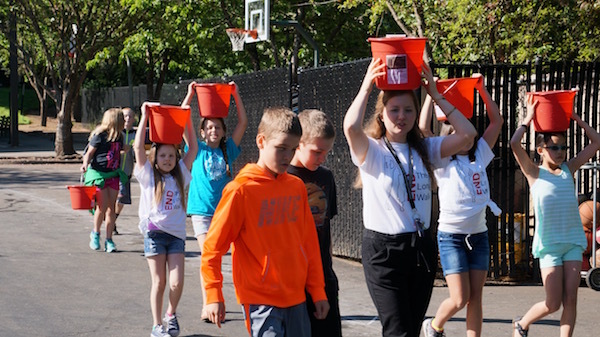 …..
After the assembly students went outside for their own Walk4Water! 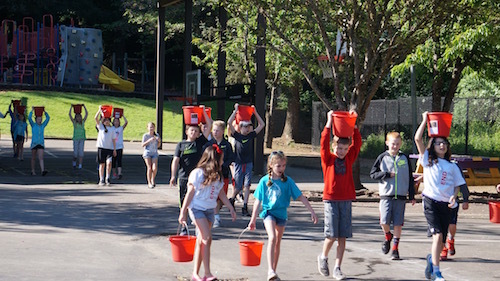 The sun was shining as students walked laps carrying buckets of water to simulate the experience of rural Africans collecting dirty water for their daily use. Teacher & WaterAfrica Board Member Margaret Hanscom walking with students after the assembly on Wednesday. We look forward to walking with many of these students and their families this Saturday morning at Walk4Water9! 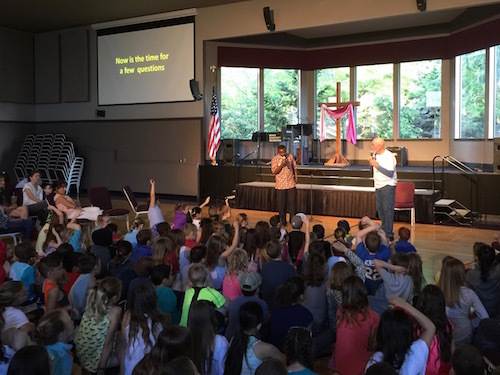 Share the post "Walk4Water at Horizon Christian School"